This has been a hugely popular look for the past year and it’s set to stay top of the tree for 2015. Think rich shades, hand-drawn flowers and romantic forest creatures. The venue: Book a barn venue or a country house with wooded grounds (try Haselbury Mill in Somerset). Or, choose somewhere with the option to camp and say your I dos outdoors, such as Fforest in Wales. 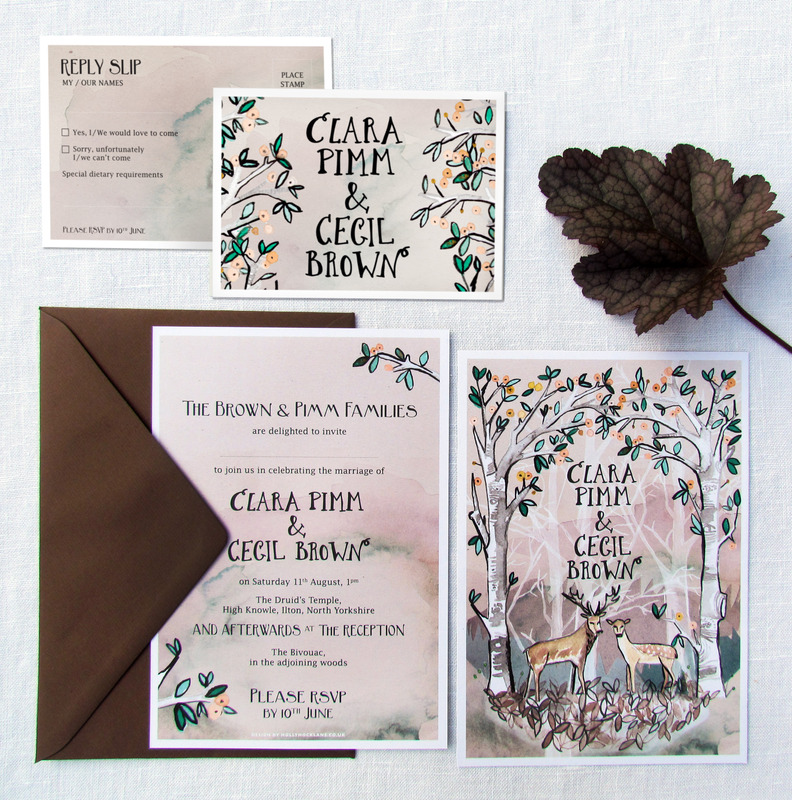 The stationery: We love this Hazy Woodland stationery suite from Hollyhock Lane (from £2). If ‘pretty’ is your thing, this is the theme for you. Combine soft sorbet colours with a sprinkling of confetti for a modern take on romance. The venue: This girly look will add a soft touch to industrial venues and look great against modern city settings – check out Sheffield’s The Chimney House or London’s MC Motors. 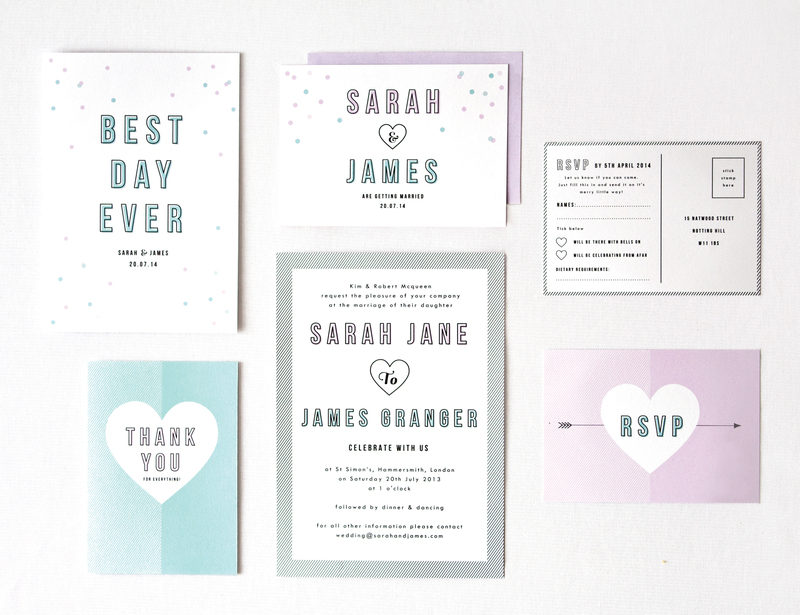 The stationery: The Confetti range by The Lovely Drawer will have your guests swooning in the aisles! (£50 for customisable, printable full set at Etsy). The venue: Ideal for pubs/clubs, party houses, fields or village halls. 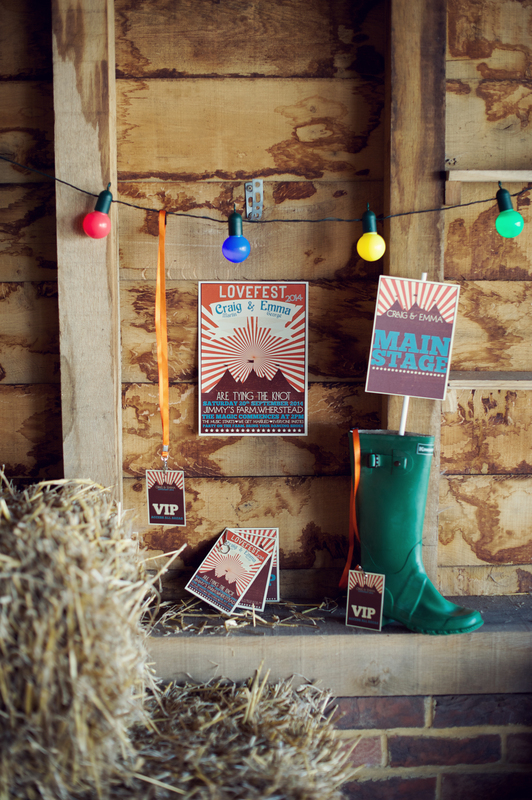 Visit the Festival Brides blog for lots of quirky-cool locations. The stationery: The Oh My Festival of Love range by Whippy Weddings (from £1.20) will set the tone for the party of a lifetime. Oh, and they also do an Oh My Love Rocks range too! Super. 4. Putting on the glitz Art deco has reigned supreme of late, meaning weddings have got a whole lot more glamorous. Not keen on a strong 1920s theme? Go for a striking black colour scheme with accents of gold and silver. The venue: Perfect for decadent city hotels, country houses, evening events, winter weddings. We love the Malmaison hotels. 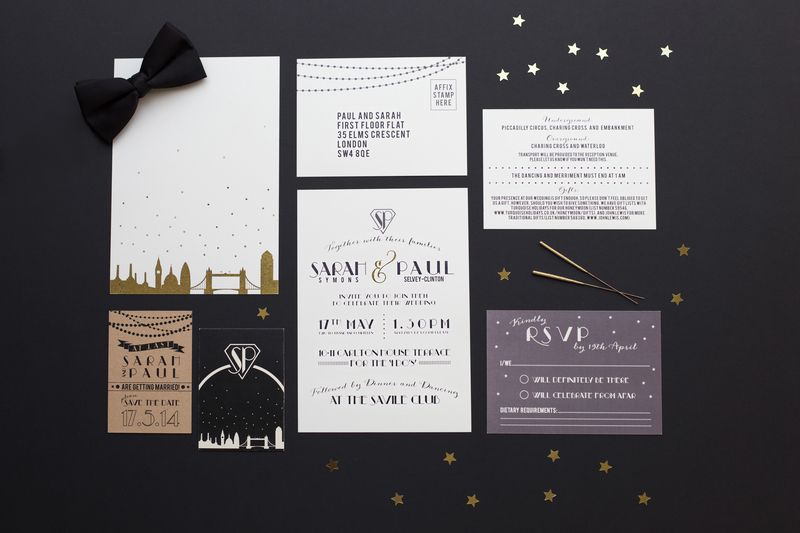 The stationery: These bespoke designs by Kate Ruth Romey (prices on request) have super-chic luxe written all over them. Just gorgeous. 5. Moroccan boho Since Poppy Delevingne had her wedding reception in Marrakesh last year, we’ve all gone mad for colourful Moroccan details – think floor cushions, tea glasses and rich shades of teal, fuchsia, purple and coral. The venue: Bedouin tents, marquees, tipis and outdoor weddings. Check out Arabian Tents for some pretty amazing canvases. 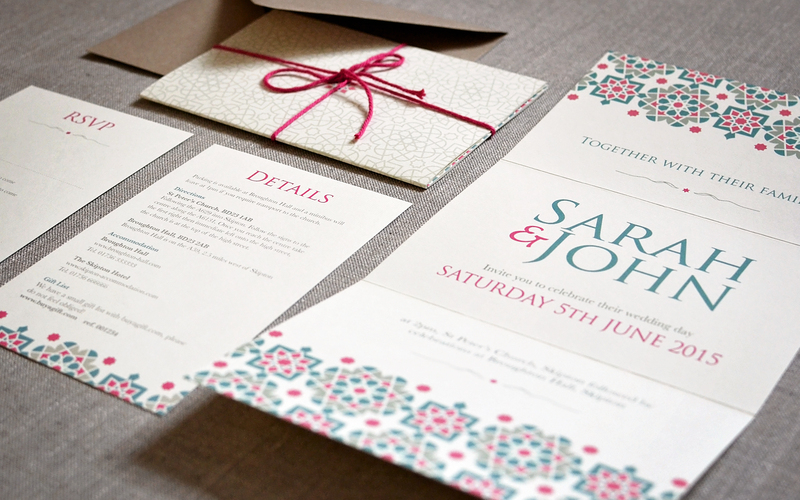 The stationery: Give guests a taste of your exotic nuptials with this brand new Moroccan Patterns invitation from Little Bird Weddings (from £3.25).